Here is a mystery that I can't solve, and it's driving me mad. Shag is an English verb for the world's most popular pastime. That it is English and not American was a central joke of Austin Powers, and a central flaw in the British marketing of the 1989 American romantic comedy Shag. So I was astonished to read the first citation in the OED. It's not English, but American. We've lost! Not just any old American, either: the first recorded shag is by Thomas Jefferson. He had shagged his mother and begotten himself on her body. That, I think you'll agree, is a pretty weird sentence. But the OED, of course, don't give context. They just have the line and the name of the book. So I ran down to the British Library to get hold of a copy and see what Jefferson was talking about. I don't know whether it's that Thomas Jefferson isn't important enough, but the British Library have never bothered to buy a copy. It's recent too. Though Jefferson wrote it in 1770, it wasn't published until Princeton University press put it out in 1997. What the hell does it mean? I've been thinking long and hard about this. Who shagged his mother? It's not Oedipus because he didn't beget himself. I looked up Sin and Death in Paradise Lost, but they don't fit. Then I came up with an odd idea. Maybe he's talking about Jesus. If you consider Jesus and God the Father to be one, then Jefferson's Shag might make sense. It's more than a trifle blasphemous, but I can't see what else he could have been writing about. Does anybody have a better suggestion? Does anybody have access to the original book? Any Princetonians? Anybody with another copyright library round the corner? And it's the entry for Dec. 27 1770 on page 200. The Inky Fool wonders if he can get his money back. Now, I'd like to say that that cleared it up, but really it's caskets within caskets. I still can't work out what the phrase means. It's hard enough to see who's suing who for what and why. The open vestry is mysterious. I assume the pl. is the plaintiff, but I can't be sure. Thank you to everyone for suggestions. I don't know if it's any help, but this page: LEA Book Distributors lists the book at a mere $240 or £160. It's from 1999, though. The Inky Fool's budget has mainly been spent on harmonicas and kir royals, the rest I squandered. The annoying thing is that this is exactly the problem that a BL reader's pass is meant to solve, and beyond that one sentence I don't have any burning yen to read the thing. Someone in Cambridge claims to have a copy. Next time you're there, go an knock on the door - it's an extraordinary-looking house. An old theory of reproduction is that the male sperm is a miniature version of a human (homunculus), arms and legs and bits and all, and the woman's role is merely to incubate it. I can't recall when this theory was replaced by a more enlightened version, but 1770 is a while ago so I wonder... The consequence of such a theory is surely that "shagging" and "begatting oneself" is one and the same thing. Shag is also the name of a bird, which resembles a cormorant in some ways - now where did that name come from? The homunculus theory was popular with certain alchemists, well into the 1800s, and Thomas Jefferson is reputed to have had a great interest in Alchemy and Rosicrucianism. My wife is a librarian here in NJ and I have requested she find us a copy. The Governor tried to shut down inter-library loan but was thwarted so I will eventually get a copy. As to relying on Princetonians, I have never found the agricultural school types to be very reliable. Do you think this could be a reference regarding the son of a suspected relationship between Jefferson and one of his slaves, Sally Hemmings? Do nothing till I hear further. Seems to have been a common insult. So is this an early use of Mofo mixed with an interesting hint of bastardy? Thank you, I hope that it wasn't too far. Not at all. In light of all the delight this blog has conferred upon me, it would have been the least I could have done had I been able to do it. This seems to me an example of the precise limitations of the OED in that the lexicographers specifically and only use written language to construct their dictionary. From the context of Jefferson's notes, it seems clear that 1770 was merely the first written occurrence of a usage that was already well-circulated in verbal culture. 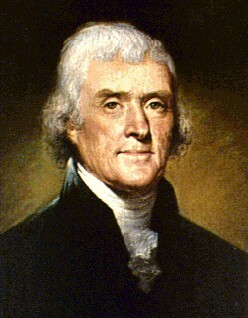 And the fact that it happened to be TJ himself doing the note-taking of someone else's words is more or less a fluke. But an interesting fluke to be sure. What all this still doesn't resolve is where the usage came from, either geographically or etymologically, especially considering that the word has pretty much stayed in the UK and isn't at all common in the States.